By 6:29 am, we resorted to stealing the pin from our friend's truck nearby (sorry, Charlie!). As we finally hooked up the trailer and I pulled off into the sunrise, I thought, "This is a test." I shifted my focus to the morning fog rolling across the pasture. Nothing was going to shake us today. "It's all about the kids," I reminded myself as I grabbed my coffee and turned up the gospel music. In 2016, Mike and I had decided to partner with the C.A.S.T. for Kids Foundation to host an event that is designed to provide a day of fishing for kids who are disabled, sick or disadvantaged. We'd been planning for over a year and somehow, the day had finally arrived. 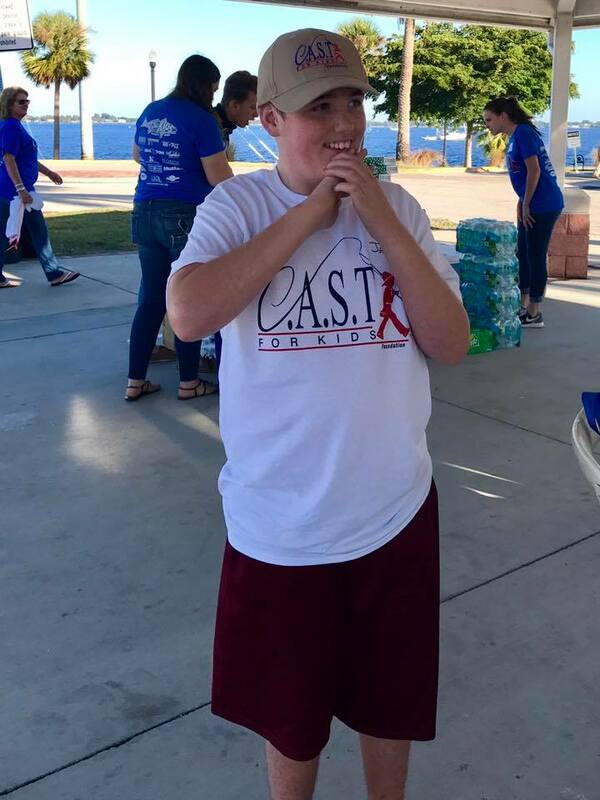 Read more about C.A.S.T. and how we got involved. 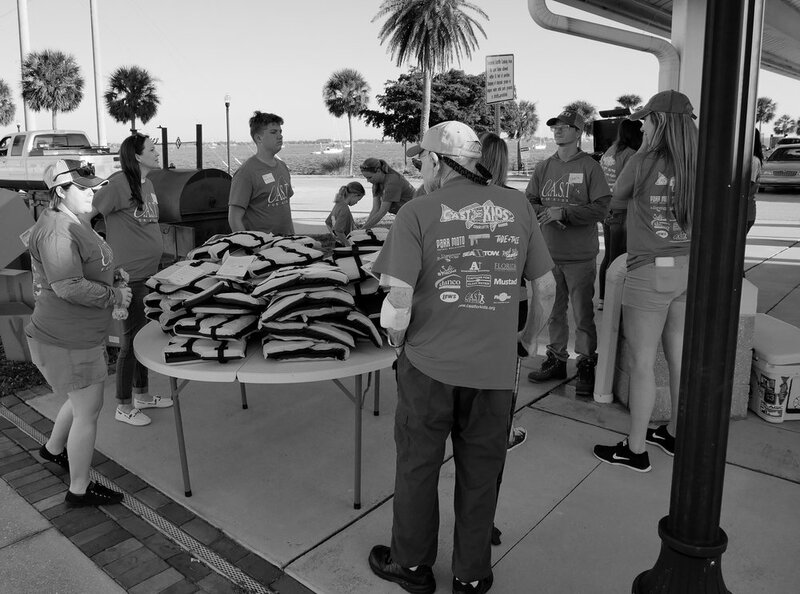 Photos in this post were provided by Mike Downs Sr., participating families, boat captains, first mates and volunteers. We hit the ground running, volunteers already arriving as I pulled in late. It didn't take long and all hands were on deck. Throughout the morning, I looked around at the sea of blue volunteer t-shirts and couldn't believe what I was seeing. People were just owning things organically, without asking what to do. In my mind, I had envisioned a more frantic scene, but these volunteers were making magic happen. 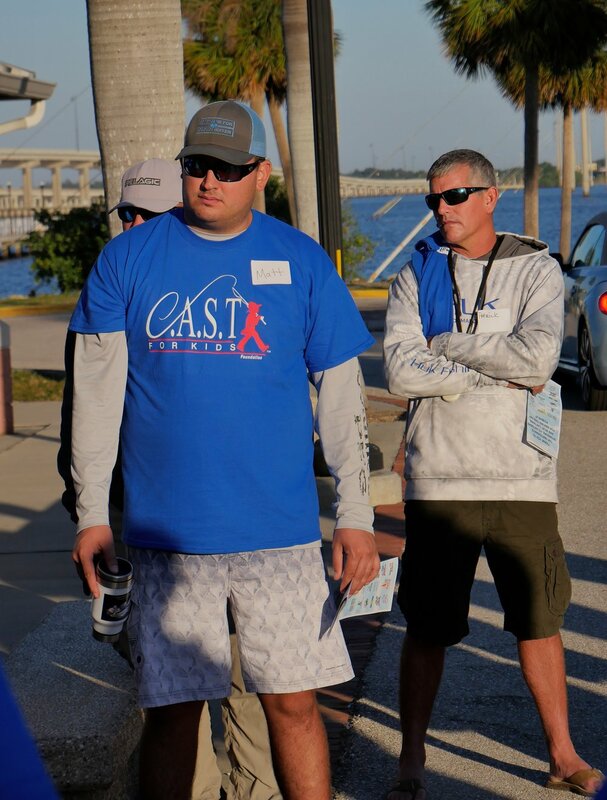 The boat captains circled around for a quick meeting run by Mike and Jeff Barnes, the Eastern Regional Director of C.A.S.T. for Kids, who flew in to help make sure the event went smoothly. Twenty-nine kids were registered. Twenty-four captains were on standby, boats were in the water and bait was in the livewell. Bring on the kids! One by one, the participants began to arrive with their families. Some seemed apprehensive at first, but they beamed as they received their very own rod and reel, tackle box and bait bucket! After a hearty donut breakfast, the kids headed down to the dock to line up and meet their captains. I stopped to speak to every family in line and realized that very few of them had ever been on a boat before or gotten to spend a day together fishing on the water. Our boat captains were all smiles as they introduced themselves to the young anglers and posed for a photo together. 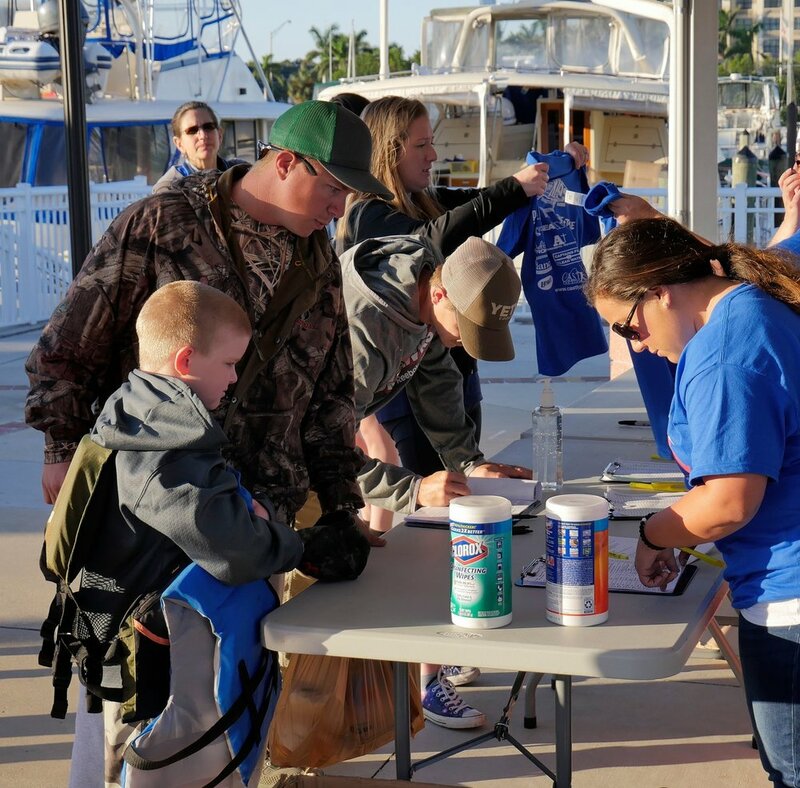 Once the kids were sized for their life jackets (courtesy of Sea Tow Charlotte Harbor) they boarded their vessels and it was time to hit the water! We couldn't have planned for more perfect weather that day; the wind was light, the water was smooth and the sun was shining. It was a beautiful, Fall day in Florida, perfect conditions for getting out and catching some fish. The mission of C.A.S.T. 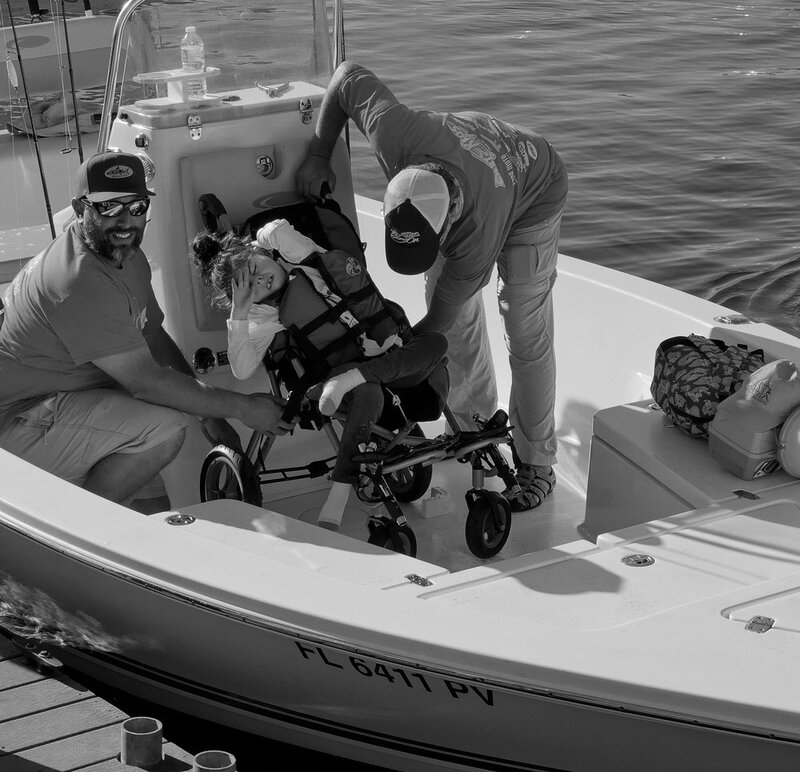 for Kids is to provide disabled, sick or disadvantaged children the opportunity to enjoy a quality recreational experience through the sport of fishing. After seeing the pictures of the day each child had, I would say that mission was carried out successfully. Almost every child got to experience the thrill of reeling in a fish! They caught all kinds of species - redfish, snook, sea trout, mangrove snapper, catfish, sheepshead, and even a bonnethead shark! Before they ventured out on the water, we let every family know they can come in early if they needed to. To our surprise, everyone stayed out until lunch which tells me... they were having FUN! Our young anglers were welcomed back to shore with a BBQ lunch, prepared and served by my family, and an exciting award ceremony. Jeff Barnes kicked off the ceremony, calling each child and captain up to the mic to share about their day. Everyone applauded loudly for each child as their captain presented them with a plaque and they told of the many fish they caught, getting to go fast and even getting to steer the boat! The excitement throughout our little pavilion was unmistakable, every face smiling and even some happy tears. After many hugs and handshakes and new friendships formed, our inaugural C.A.S.T. for Kids event was officially over. Based on the overwhelming response we received, Mike and I agreed, we want to plan this adventure every year. The next day, I woke to a few emails from families expressing their gratitude for an event that allowed them to enjoy such a fun day together. They shared hardships and realities and what this day meant to them. And each word stirred emotions in me that I still can't describe. They were thanking us, but I felt like we were the ones who should be thanking them. Each and every child had left an impact on all of us that day - Brandon's excitement, Jimmy's hugs and air fives, Gibson's cool-guy style, Abel rocking the buff headband, Jacob winning a charter, Jason helping Gracie touch her first fish, Mike helping Thomas overcome his fears of the boat, David's outgoing personality, and so many more victories and memories! I'm still having trouble finding the right words to explain how that day impacted me. We had never done anything like this before and had no clue what to expect. What we learned is that each and every child, regardless of their disability, is capable of great things when given the support, resources and opportunity. I was proud of them and I had only just met them. All glory to God for setting Mike and I on this path and pouring blessings into the lives of so many through this event! 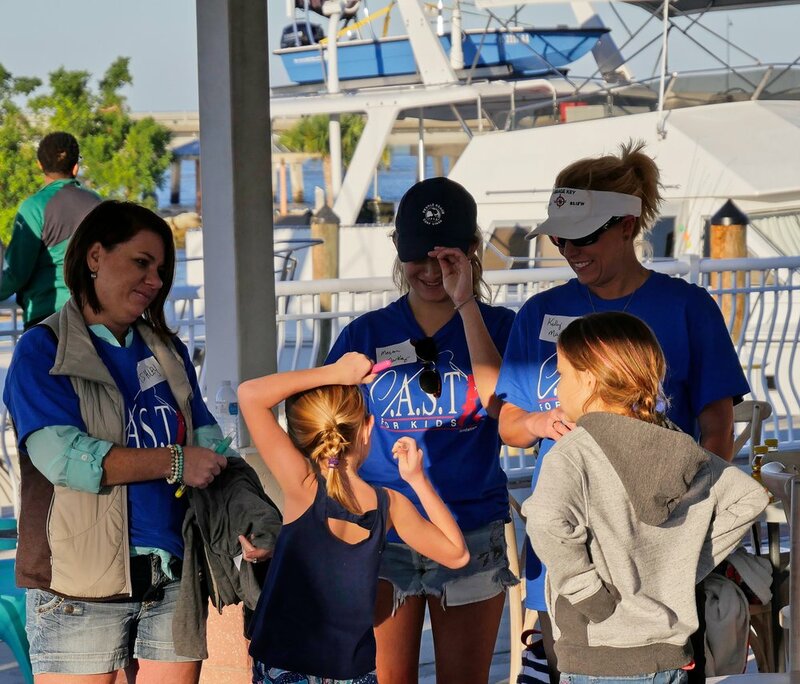 Our community, families, and friends all came together for one common goal: to provide a fun day of fishing for deserving children and their families. We'd like to thank every single person who was a part of making this event possible. The participants and their families, our rockstar volunteers, boat captains and first mates, Jeff Barnes and the C.A.S.T. for Kids Foundation, our generous sponsors and our friends and family who traveled from all over to be a part of this special day. 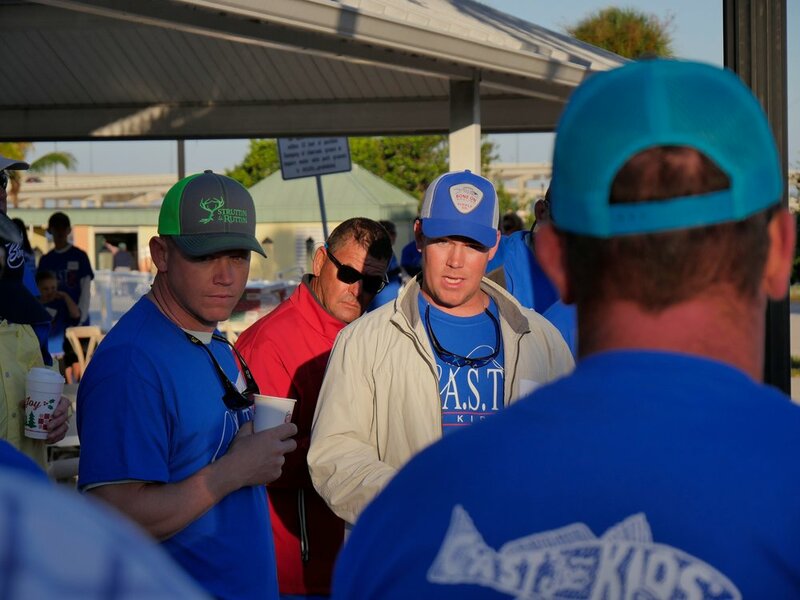 Boat Captains - we had a notable lineup of charter captains and experienced anglers who donated their time, boat and fishing expertise to guarantee a great time for our participants. C.A.S.T. for Kids events are held across the country annually. Check out their Calendar to find an event near you. Or host your own C.A.S.T. for Kids event in your area. C.A.S.T. for Kids is always looking for passionate people who care about kids and strengthening their community.